Before and after an appointment, a staff member’s role may quickly expand to include accountant, pharmacist and sales associate. Their effectiveness can impact customer satisfaction as well as the productivity and profitability of the operation. So, equip your staff with tools to help them stay on top of their wide-ranging responsibilities. Accelerating the time it takes to go from waiting room to exam room elevates the patient experience and increases practice profitability. If you have converted to an electronic medical records system then you likely use it to manage patient information from billing, to scheduling to patient reports and treatment planning. The ability to send owners follow up information via email or text message increases the importance of accurate data. Confirming that information upon arrival maximizes data accuracy. And, it ensures the information gets delivered properly. Further, it eliminates unnecessary extra effort. Finding the correct contact information, resending the electronic message or even creating a paper copy to send in the mail is a frustrating time waster. Moreover, when paper files supplement electronic medical records, easily accessible and accurately marked file folders reduce the time it takes to locate patient data. 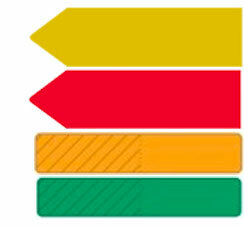 For example, filing labels make it easy to identify files by source-oriented or problem-oriented medical criteria. Since states typically require veterinarians to keep records anywhere from three to five years after the last patient exam or treatment, it’s helpful to organize by month and year. Plus, coding the files in specific and consistent colors makes retrieval easy. And, while the files are in use, highlighting key information can help both the clinical and front office staff. Flag labels bring attention to key documentation including follow-up appointments, medications, billing information and more. Consumers spend nearly eight billion dollars annually on veterinary prescription and over-the-counter medications. And with the industry expected to grow at over 6% annually, that number is likely to increase. Improving the pharmacy will allow prescriptions to be filled faster and more accurately. When using laser printers and thermal printers such as DYMO™ and Zebra to print scripts and medication labels, it’s essential to maintain a stock of the appropriate formats. Make sure you start the day with a full tray of sheets in the laser printer. 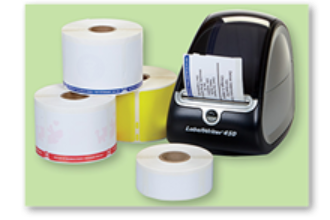 If you use a thermal printer, install a new roll or verify that it is only slightly used. This will ensure that the media doesn’t run out right in the middle of your busiest time of the day. If you do change out rolls before they’ve been used up, save them for internal printing tasks during off hours. And, if you still hand write prescriptions, printers can increase both the speed and accuracy of the transaction. In addition, applying preprinted communication labels that highlight important dispensing instructions are quick and easy and can further assist pet owners with proper medication dispensing. You can supplement post examination information and reduce the number of unnecessary phone calls involving simple questions by using brochures and handouts. These can focus on both clinical topics and information about your practice. Using handouts about patients' conditions or treatments can also help focus the visit so that important information is appropriately communicated. If the pet’s visit is routine or concludes the necessary examinations for their specific ailment, it’s useful to provide information on the additional services you offer. For example, communicating semi-annual physical exam dates, alerting clients about vaccinations and highlighting other services, like dental exams, are informative and likely to result in additional visits. 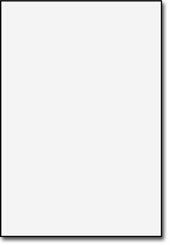 Some EMR systems feature automated appointment reminders. Using stock label formats, like this, make them easy to hand out and drop in the mail closer to the appropriate appointment date. Plus, printing postage directly from the desktop using internet postage stamps can save time for these and other items you mail. Regardless of which hats your front office staff wears, take a look at your operation and implement the appropriate time-saving steps. It can help make their tough job a little easier and improve customer satisfaction. 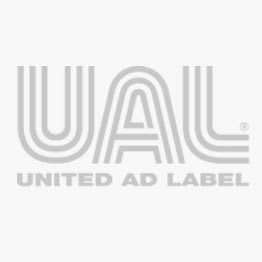 United Ad Label stocks a complete line of label products that help veterinary practices improve productivity. Click here to learn more.